One thing you always see when it comes to recruiting classes is that of the high school kids. Who has recruited the best guys to go play at said given school generally only taking into account the high school guys. Well this is not that. It is however that same thing but with the Junior College guys that they have recruited. Now some schools still do not see the perks/point of getting guys from Junior College but for those that do it always has a great benefit. This list also has the potential to no just be Division 1 but all 4 Year schools (D1/D2/D3/NAIA). You will honestly be surprised on what you might see. The Wildcats despite only have 2 JuCo guys so far doesn’t take away from how good they are. Lucas played his last year at the University of Washington and was one of the better pitchers in the Pac 12. He was only allowed 21 Walks (8th in the Pac 12) in 89.0 Innings of work (10th in the Pac 12). He also had a 6-5 Record making 15 starts with a 4.35 ERA. For Oraj And he played in 54 games for the Govs. Hitting .390 with 22 Doubles which was 15th in the country. A good middle of the lineup bat. When it Comes to Matt Golda he hit .326 this past year having a part in 92 runs for Western Oklahoma State playing in 52 games. The University of Nebraska at Omaha is not a school you here of very often but they have a good crop of Junior College guys coming in for the 2020 Season. The Three from Barton helped the Cougars reach the Junior College World Series this past season and all played a big roll in that. For Tanner and Easton they Combined for a 7-3 Record pitching for a 80.2 innings out of the Bullpen. Both had great ERAs with Eastons at 3.18 while Tanners was a sub 3 at 2.63. For Harrison he played in 41 of the teams 62 games. He hit .327 with a .414 OBP. While boasting a .966 Fielding % from the field. For Chris he played in 35 games this past season as a Freshman. Hitting .382 with 2 Homers for the Cavilers. The Pokes have had a good history of recruiting Junior College guys from 2015 National Player of the Year Garrett Benge out of Cowley to Last years Surprise for them Matt Kroon from Central Arizona. This years batch so far has a lot of promise. Oklahoma Native Kaden Polcovich is coming back home after being hurt last year and not producing like he would have liked. Hitting .280 with 18 RBI with a .963 Fielding %. For Nicholas he is a bounce back from West Virginia. Not playing like he liked to his Red Shirt Freshman year transfer to Paris where he has had an impressive fall. Tucker saw 40 innings of work last season striking out 55. All his appearances were from the bullpen but he still had a 3-1 Record. 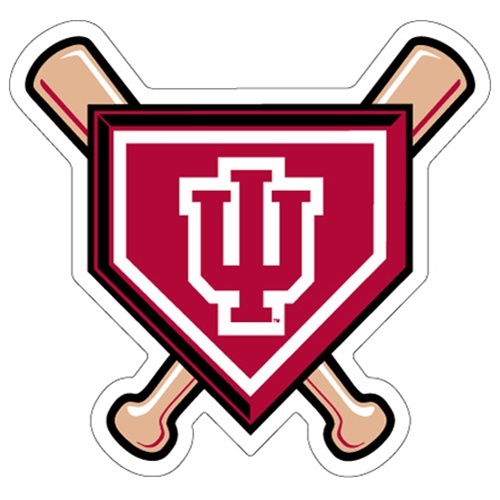 Indiana known for their basketball isn’t to bad at baseball either. With 8 30+ win seasons in a row with 3 of those being 40 wins with two Conference Championships is nothing to over look. For the two from John A. Hunter Combs comes off of his freshman season where he played 46 Games hitting .305 but his main thing was his defense. Having a .992 Fielding % from behind the plate is nothing to over look. As for Cooper he is a transfer from Evansville where he played in 15 games starting 7 of them. When it comes to Dalton Laney of Lincoln Trail he is a D1 guy that didn’t see much time at Indiana State who is in his first year at LT. He saw 16 innings of relief in his one year there. With a New Recruiting Coordinator in Jon Coyne and his strong Junior College ties (mostly in the state of Texas) you can expect him to get guys out there. To start for Collin Storm he was used sparingly this past year only making 8 app with 2 starts he has had a strong fall with a lot to look forward in the spring. For the guys from Odessa these two were staples in the starting line up in 2018. Fullerton making 60 starts while Mclenna made 54. Harry hit .357 with 64 RBI and 23 Stolen bases while Mason hit .320 with 59 RBI. Look for Odessa to have another solid infield this year.